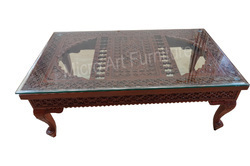 Providing you the best range of teak wood center table, heritage carved center table, carved wooden center table, hand carved center table and wooden center tables with effective & timely delivery. This Hand carved wooden center tablehave a timeless elegance and will look impressive in any Living room.It can be made to order to your specific requirements and bespoke sizing. 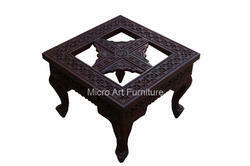 This hand carved center/coffee table with barmeri carving gives royal look to home. The Finishing color can be changed as per requirement. 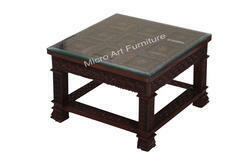 We are offering Wooden Center Tables.